They say all good things must come to an end — but we don’t think that should include your smile! If you are feeling down about a missing tooth or teeth, our team wants you to know about something could make your smile as good or better than ever. Dental implants from Shorewood will restore your smile and so much more. Getting implants is a big decision, but it’s one that you won’t regret when you smile without worry and feel confident enough to bite into a juicy, fresh apple. You can learn more about implants if you keep reading or by setting up a consultation with one of our dentists in Shorewood, IL. Contact us online or call 815-725-5991. For a lot of people, losing teeth has a bigger emotional impact on their lives than they expect. When you lost your teeth as a kid, your adult teeth came in and replaced them. When you lose your adult teeth, your teeth are gone. As another popular saying goes, you don’t know what you’ve got until it’s gone. That’s certainly true with teeth. When you had a complete smile, you probably didn’t give much thought to smiling for photos, talking to someone, or sharing a meal with other people. When you are missing one or more teeth, however, you may notice that you become hesitant to do things you used to do. Instead of speaking up, you may become self-conscious because your missing teeth affect how you pronounce certain words. Instead of flashing your pearly whites, you may smile with your lips firmly pressed together. And instead of a meal with family and friends, you may find that you eat alone so no one sees your mouth when you try to take a bite. By getting dental implants, you are replacing the roots of your teeth and providing a stable support system for your teeth replacements. With a dental crown, dental bridge, or even a full set of dentures, your smile can look natural and whole once again. This can make a world of difference, according to many of our patients who already have implants. Having a full, natural-looking smile can give you more confidence in everyday situations, but don’t forget that your teeth serve an invaluable purpose as well. Your teeth are the tools you use to start breaking down food so it can be digested. When you can’t bite into certain foods — apples, broccoli, carrots, and countless other fruits and vegetables — you may choose to avoid eating them. As a result, you may not be getting the nutrients that you need to be as healthy as possible. Likewise, your missing teeth can make it more difficult to chew foods, which is your way of grinding it into smaller pieces. This too is important for digesting those foods and getting their full nutritional value. That can affect your life in a different way. When you are able to eat healthier foods, this can improve your overall health. When you don’t replace your missing teeth or you replace them with traditional dentures, you may not be able to eat the foods that you should. That’s to say nothing of eating foods that you enjoy, whether that’s fried chicken, pork chops, or popcorn at the movies. 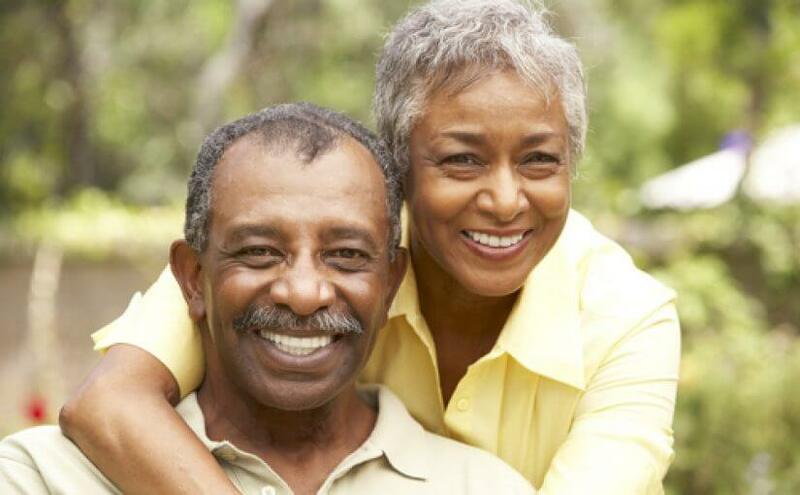 When you have dental implants from Shorewood, you can restore your smile. You also can restore your ability to eat the foods that you love. Unlike slippery, loose dentures, implant-supported replacement teeth will look and feel like real teeth in your mouth. Your implants are embedded in your jawbone, just like your roots once were. This is why you can eat whatever you want and smile freely. With implants, your teeth replacements will look, feel, and function practically as well as the real thing. There’s no reason to spend another day living with missing teeth. Call 815-725-5991 or contact Shorewood Family Dental Care online. Make an appointment to get dental implants here at Shorewood, and give yourself a new reason to smile!